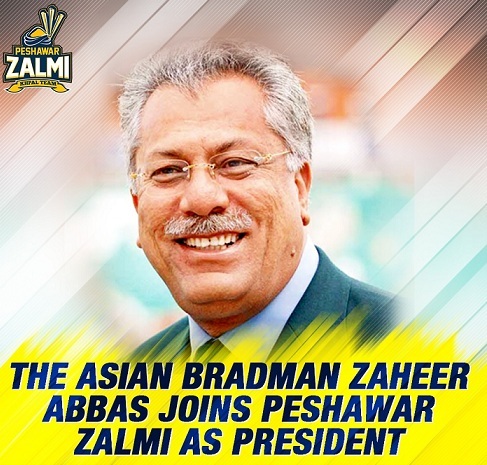 Peshawar Zalmi appointed Asian Bradman, Zaheer Abbas, as the President of the Board of the Zalmi Group. The group eagerly looks forward to his guidance and direction on growth strategies for Zalmi’s cricket initiatives and related strategic affairs. Chairman Peshawar Zalmi, Javed Afridi said, “It is a great privilege and honor for the entire Zalmi family that one of the biggest names of the cricketing world has acquiesced to join us. The Zalmi vision has always been about expansion of the sport through the potential of youth. While youth is at the center of our vision, we realize that our global ambitions like entering South Africa’s Global T20 league with Benoni Zalmi and successfully growing Global Zalmi, a unique and unprecedented fan-based initiative involving cricket fans globally, require expert advice and guidance from professionals like Zaheer Abbas, who have experience of working in the highest echelons of cricket administration." Javed Afridi also said that the President of the newly created Zalmi Board will also provide inputs on the plans pertaining to Peshawar Zalmi. Expressing his views about his association with Peshawar Zalmi, Zaheer Abbas said that Pakistan Super League has helped cricket in Pakistan evolve into a new era. He appreciates the dynamism of Peshawar Zalmi and the vision of the group’s Chairman, Javed Afridi. 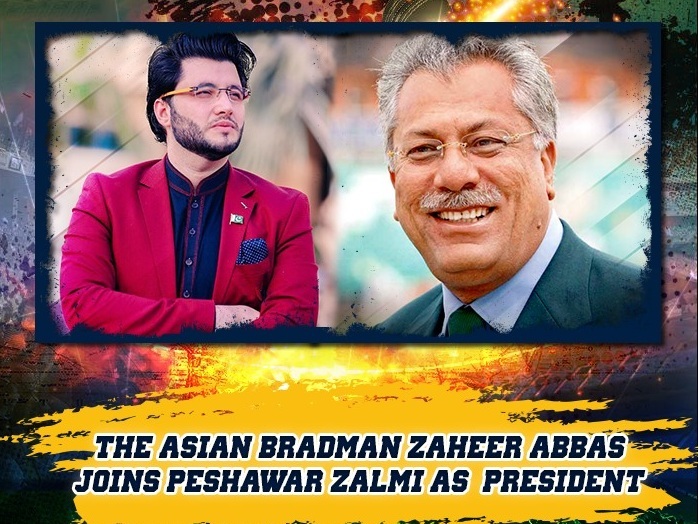 Zaheer Abbas hope that he hoped the Zalmi’s will repeat their stellar performance in the forthcoming PSL Season and will successfully defend their title. An elegant batsman of his era, Zaheer Abbas scored 5,062 runs for Pakistan in 78 test matches and 2,572 runs in 62 ODI's. He is also the only Pakistani batsman to have scored over 100 first-class centuries, 108 to be precise and a mammoth 34,843 runs in first-class cricket. Prior to Babar Azam who scored 7 one day international centuries in 33 innings, it was Zaheer Abbas who was quickest to this feat be reaching the milestone in his 42nd innings. Zaheer Abbas’s strike rate of Zaheer Abbas S/R of 84.80 and avg of 47.60 in One Day Cricket is better than many players of the current era. Zaheer’s appointment as president few days before the draft of HBL-PSL third edition is a good move as input by an experienced cricketer like Zaheer Abbas may benefit Peshawar Zalmi in selecting the right players for the defense of their PSL title.